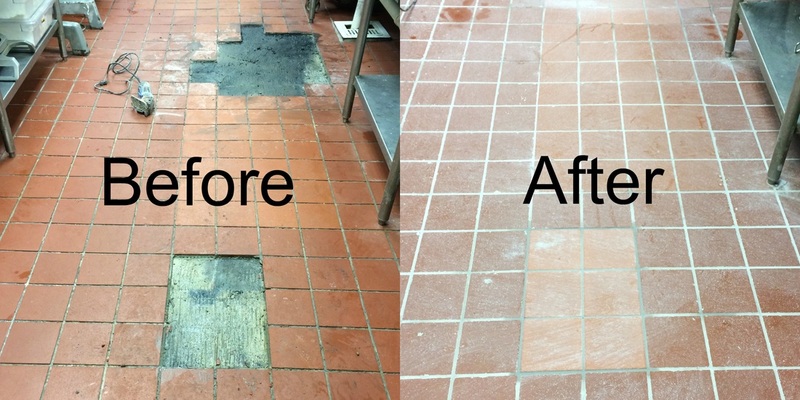 Is your Restaurant Kitchen Floor in need of regrouting and repair? 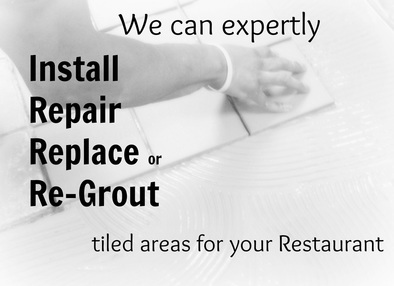 Are the grout lines between quarry tiles shrinking, loose, broken or cracked? 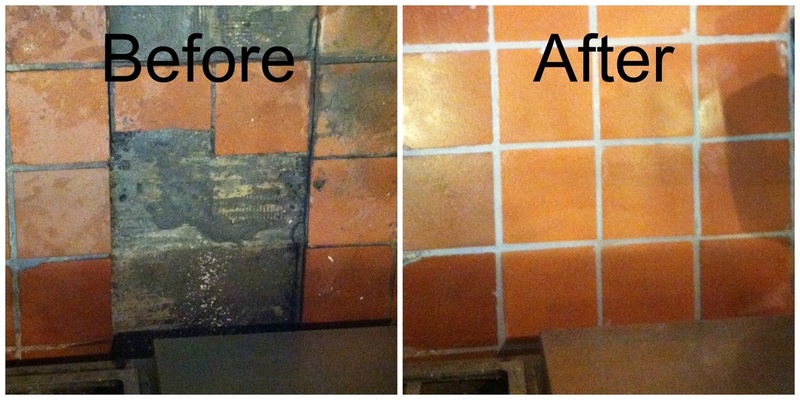 Is the board of health inspector saying: You have to do something about this floor? Don't risk getting the board of health angry... that can be disastrous. 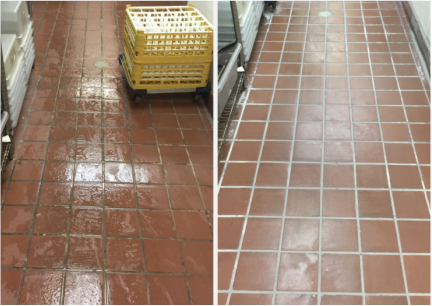 If your restaurant, commercial kitchen, cafeteria or pizza kitchen is in the greater Central Florida area, you can have the floor tiles regrouted by our team of professionals. 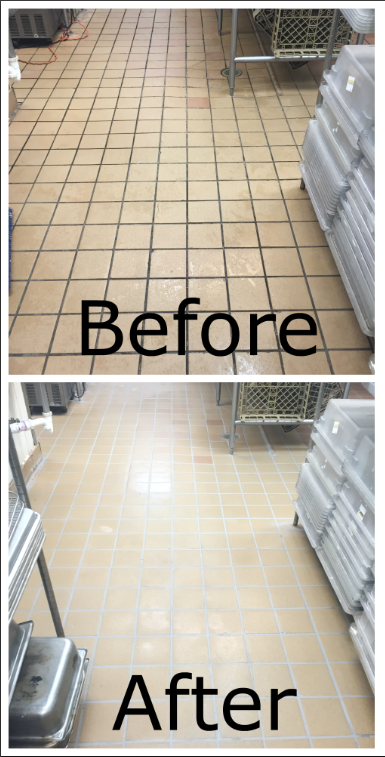 Our company has the experience and special tools to do floor re-grouting for restaurants, commercial kitchens, cafeterias and any other businesses that need to have the work done without shutting down your facility. 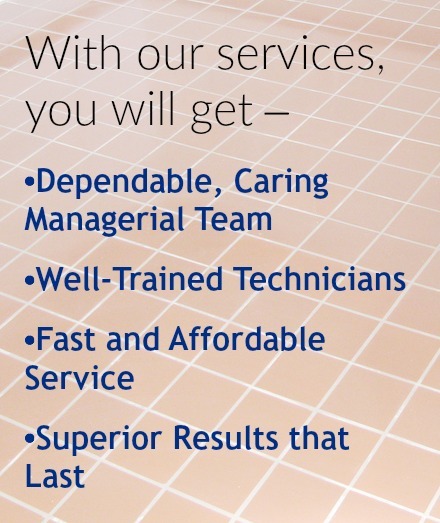 Call Imperial at 407-259-9781 and get a free quote for floor regrouting now. We will come in after hours, without disturbing your customers. Pass your inspection and keep the restaurant open! closing and opening times. No need to shut down your business for our business. 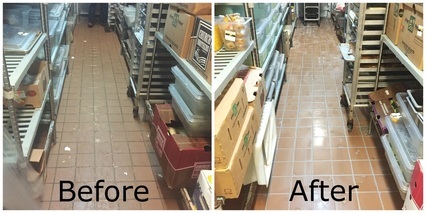 We clean up after ourselves so you don't have to worry about a mess! 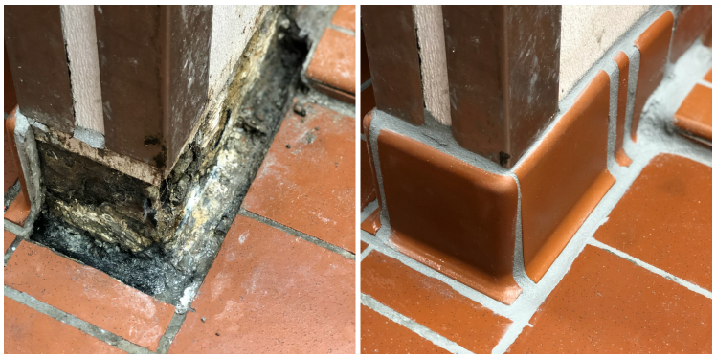 Replacing a damaged/rotted wall and installed brand new cove base tiles in a commercial kitchen.